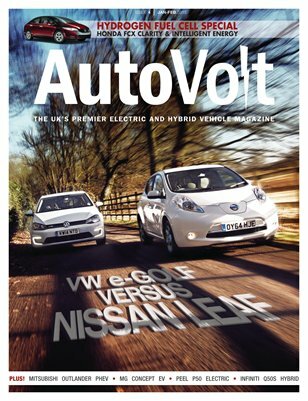 Main feature articles in this issue are: - NISSAN LEAF VS VOLKSWAGEN E-GOLF. - MG CONCEPT EV. - HONDA’S FUEL CELL FUTURE. - TECHNOLOGY: FUEL CELL. - JACK OF ALL TRADES. (Mitsubishi Outlander PHEV) - INFINITI POSSIBILITIES. (Infiniti Q50S Hybrid AWD) - APPEELING? (Peel P50 electric) - FIRST DRIVE: KIA SOUL EV. - BUYING GUIDE: RENAULT ZOE.